Tri-Bridges are 3-way bridges on which traffic crosses two water streams or a body of water/lake from 3 directions and one can travel from any direction to any direction. There are not many such bridges in the World. In 2009 I started searching for such bridges around the World and could find only 13 such bridges which were included in the post - Tri-bridges Around the World. 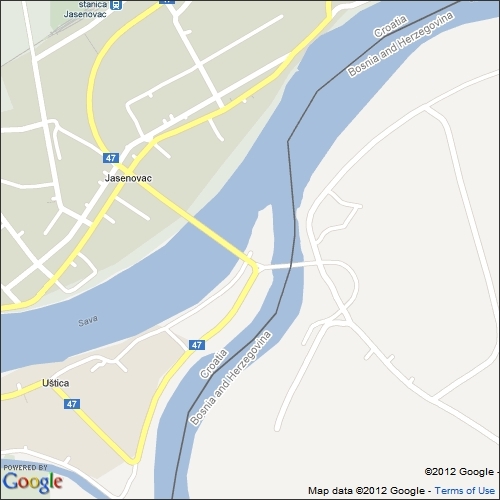 These have also been placemarked and included in Google Earth Community Forum. 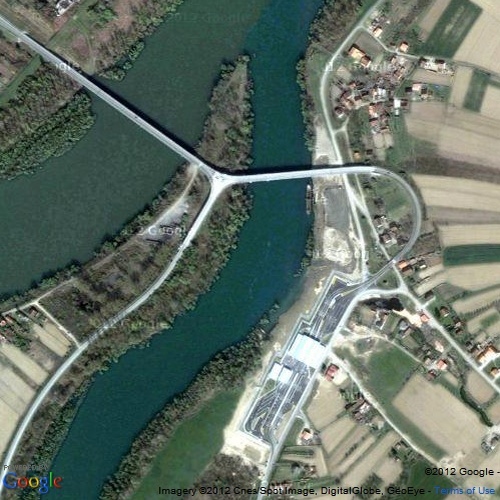 Recently Artistic Google group took me to Croatia and while roaming its countryside in the virtual Word of Google Street view I came across another Tri-bridge located in the small village of Jasenovac on the Bosnia and Herzegovina border.